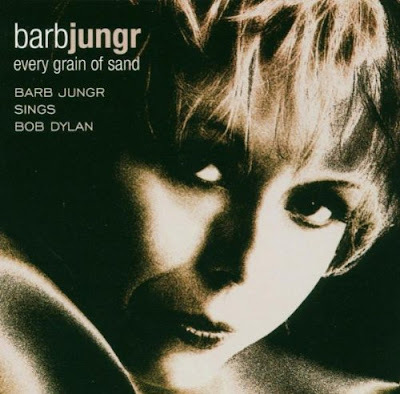 Linn are releasing a 15th Anniversary edition of Barb Jungr’s 2002 album Every Grain of Sand: Barb Jungr sings Bob Dylan on 24th March 2017. "Since recording "Every Grain Of Sand" for Linn in 2002, if anything, my love for the work of Bob Dylan has simply magnified exponentially…..His deeply personal understanding of love and life, of ageing and changing and of politics and humanity – and the lack of it – his deep awareness of our souls is a beacon of light on a bleak headland." Barb Jungr’s singing technique is flawless, and her enunciation perfect with every word audible, she has no need for the surtitles I would have found useful in the seventies. This has the occasional startling effect, when a line thrown away by Dylan in his original recording rings out clearly in Jungr’s version, and song becomes chanson. There are some fine musicians involved in this project: Simon Wallace plays piano on all but three of the tracks when Russell Churney takes over. Julie Walkington is on double bass, Sonya Fairburn violin, Sonia Oakes Stuart cello, Gary Hammond percussion and Kim Burton accordion, in varying combinations. There is particularly pleasing ensemble playing in Tangled Up in Blue, which charges along with the requisite Dylan-like urgency, and the Argentine tango setting of Things Have Changed, with Barb’s voice swooping and soaring as she ornaments the melody – these are my highlights. Special mention also for Mark Lockheart’s delicate soprano playing on It’s All Over Now Baby Blue. Jungr herself plays harmonica, and provides beautiful layered backing vocals on some tracks. It is interesting to hear Jungr’s take on less well-known songs Ring Them Bells and Not Dark Yet. Somehow not knowing every nuance of the original makes it easier to enjoy the songs for themselves, without youthful memories getting in the way. The piano-heavy arrangements are by Simon Wallace and James Tomalin, with two exceptions, a gentle I Want You, reimagined as a waltz and the driven Tangled Up In Blue, which are arranged by Jungr, Churney, Walkington and Oakes Stuart, with Churney on piano. I am impressed by the quality of the album, Jungr’s singing is terrific, the band are great, the production is excellent, but that difference between live and recorded music is often problematic for me when the form is something as emotionally charged as chanson or cabaret. I do have to be there. Fortunately, Jungr, who is a compelling live performer, has just embarked on a European tour, so we do get to hear her very soon. Barb Jungr and her band are performing at the Pizza Express Jazz Club, Dean Street on 29th March, and at The Other Palace (the new name for St. James Theatre) on 25th May 2017.